If you are on a budget on beauty brush, tips from recently crowned Miss USA 2017, Kara McCullough is something that you can consider. She doesn&apos;t mind spending on some cheap BLUSH BRUSH because according to her, she doesn&apos;t see the point of spending more money on pricier brushes when others can do the same. Of course, there are few exceptions; she doesn&apos;t mind spending money on FOUNDATION BRUSHES and BRONZER BRUSH for best result. 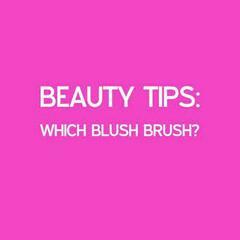 At BeautySpot, our cheapest blush brush is elf Blush Brush. The price is RM25, compared to Real Techniques&apos; at RM45. That&apos;s a saving of RM20!